At PCF, we love to recognize and honor our fundraisers. 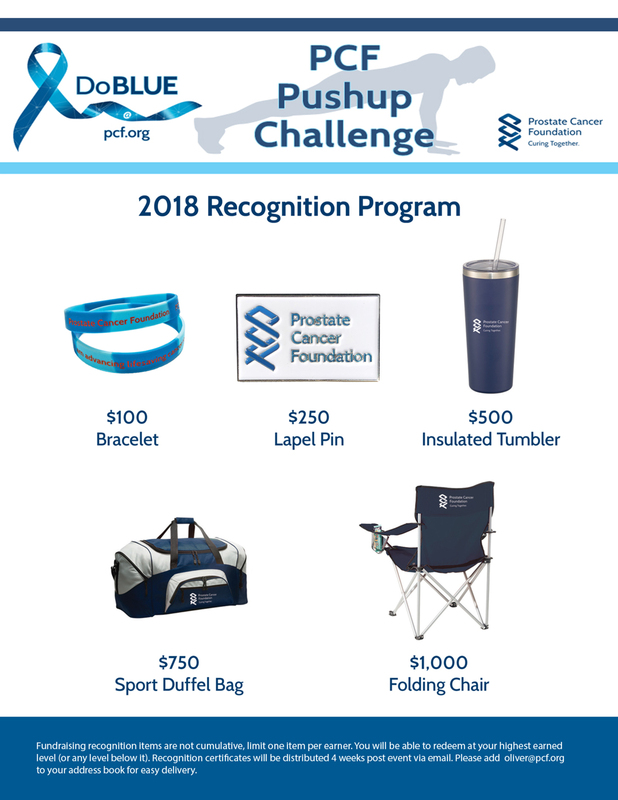 We want you to be able to proudly display your dedication to our mission and your exemplary support of prostate cancer research. Please see the flyer below with recognition items you can secure based on your fundraising total. *Fundraising recognition items are not cumulative, limit one item per earner. You will be able to redeem at your highest earned level (or any level below it).